Jump to data Where are the scanners? Video: Skipping security: A government oversight? Transcript of: Skipping security: A government oversight? BRIAN WILLIAMS, anchor: Last weekend probably wasn't a great time for the incoming House Speaker John Boehner to get spotted by passing TSA security at that very same airport in Washington . It was posted on the Web . And now, after reporters started asking a lot of questions, the TSA has admitted a lot of government officials are exempt from the security we passengers have to go through at the airport. They can walk around it and board the plane. Boehner is not alone. The list includes Cabinet secretaries , leaders of Congress , other top government officials , many of whom travel with their own security details, many of whom travel mostly on government aircraft. The problem is these are many of the same lawmakers who have oversight over airline security . 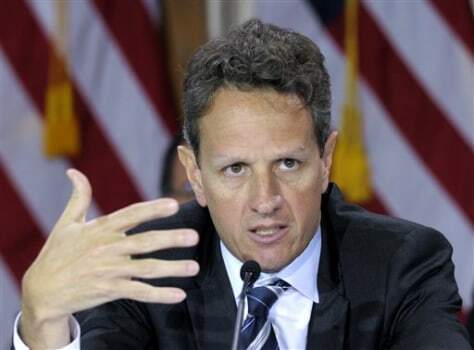 Treasury Secretary Timothy Geithner can bypass metal detectors, full-body scanners and pat-downs because he travels with a Secret Service detail.